August 20, 2009 — The U.S. Consumer Product Safety Commission (CPSC) is once again urging all parents and caregivers to immediately stop using convertible “close-sleeper/bedside sleeper” bassinets manufactured by Simplicity Inc., of Reading, Pa. CPSC has learned of two additional infant deaths since the August 2008 safety alert and recall announcements that notified consumers of two infants who had strangled in their Simplicity bassinets. To date, CPSC is aware of four infants who have died in the close-sleeper bassinets. CPSC learned that in September 2008, a two-month old female in Demorest, Georgia suffocated when she rolled into the adjustable fabric siding of the bassinet, pressing her face into a “pocket” which formed near the Velcro© fasteners. In another incident in January 2009, a six-month old female in Fort Worth, Texas appears to have been fatally entrapped in the bassinet’s bar opening created when the Velcro© fasteners were not secured. An investigation into this infant’s death is ongoing. In addition, CPSC has received two separate reports involving a 10-week old and a 3-month old whose heads became entrapped between the lower bassinet bar and the mattress support. The infants were freed by their caregivers without injury. The Simplicity 3-in-1 and 4-in-1 convertible bassinets, including bassinets with the Graco logo and “Winnie the Pooh” motif licensed by Disney Consumer Products, contain metal bars that are covered by an adjustable fabric flap. This fabric flap is secured by Velcro© fasteners, which are intended to be partially removed when the bassinet is converted into the bedside/close-sleeper mode. If the Velcro© fasteners are not properly re-secured when the fabric flap is adjusted, or if the consumer entirely removes the fabric flap exposing the metal bars, an infant can slip through the opening between the lower metal bar and the mattress support and become entrapped and suffocate or strangle. Consumers are urged to check their bassinets to ensure they are not using one of the recalled Simplicity bassinets. 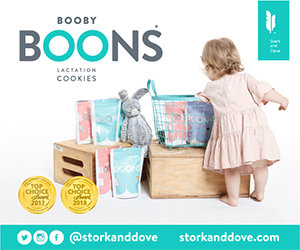 Parents and caregivers are advised to return these bassinets to the retail store where they were purchased. 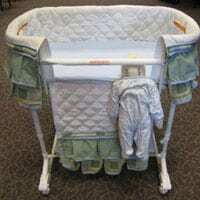 All of the recalled bassinets can pose a danger to infants. Wal-Mart Stores Inc., Bentonville, Ark. Toys “R” Us Inc., Wayne, N.J.
Kmart Corp., Hoffman Estates, Ill.
Due to the life-threatening hazard these bassinets pose to infants, CPSC urges all consumers to share this safety warning with friends, family, day care centers, and consignment stores to ensure that no child is placed to sleep in a Simplicity convertible bassinet covered by this warning. SFCA Inc., the Reading, Pa.-based company that purchased the assets of juvenile product manufacturer Simplicity Inc. after foreclosure, no longer appears to be conducting day to day operations. SFCA Inc. is no longer answering phone calls or responding to e-mails from consumers.